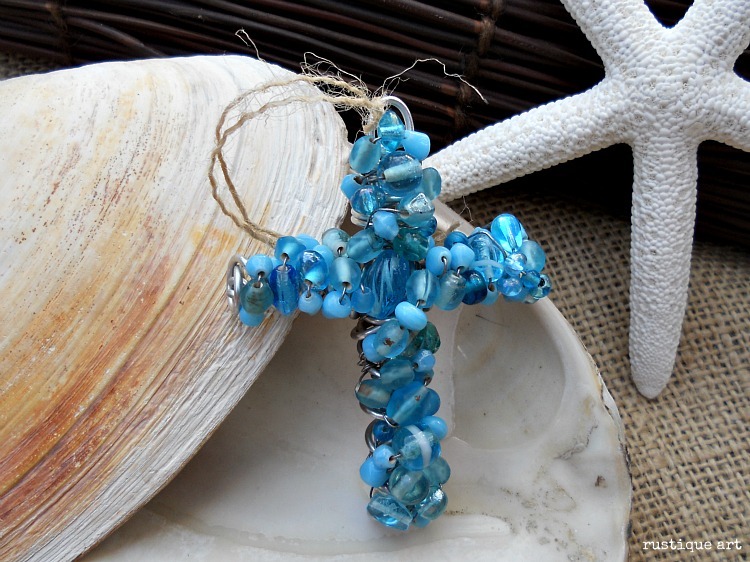 Beads and their primary use in jewelry has a history that is quite old, ancient really, about as old as the human race has existed even in it’s more primitive states. In recent generations they have had some resurgence of use in western cultures as fashion accessories, some reflecting old traditional styles, and some exhibiting newer and flashier contemporary styles. While beads do have a certain image that they have in popular culture, they have a deeper past than one would expect at first glance. A traditional accessory of the “hippie” culture that developed during the 1970’s counter culture movement in the United States was called the ‘love beads.’ They typically are comprised of one or more lengthy strands of beads, usually handmade, and worn around the neck, by both men and women alike. The growing interest in the non-Western cultures of Native America and India during the counter culture movement were likely a factor in their burst of popularity. From flickr.com here we see in a similar weaving style to the love beads, is a cross made from beads. The history of beads isn’t all just whimsical and a footnote in cultural nuances but they have a darkness to their past as well. What were called ‘trade beads’ and more aptly called ‘slave beads’ were used as a form of currency to exchange goods, services and enslaved Africans between the sixteenth and nineteenth century. Production was chiefly by the Venetians but they were made all over Europe for the purpose of easing travel of merchants and seamen, allowing simplified trade of goods such as ivory and gold, and also the human cargo of slaves. This certainly isn’t a pleasant topic for a dinner conversation but it is healthy to remember the capabilities of human beings to use even a beautiful fashion accessory for a dark ulterior motive. On a lighter note, many cultures have used beads for more meaningful purposes. Some Native American jewelry has been known to have a depth behind its use of beads in necklaces not found elsewhere. Young children are basically creative. They are full of fresh ideas, as they are not yet introduced to the world of tension. Some tribes would have a necklaces comprised of ‘story beads’ that had various shapes and symbols carved into pieces of turquoise or other stones and strung together in a necklace. Often the mothers in a family unit would use the necklace to tell stories handed down through the generations. 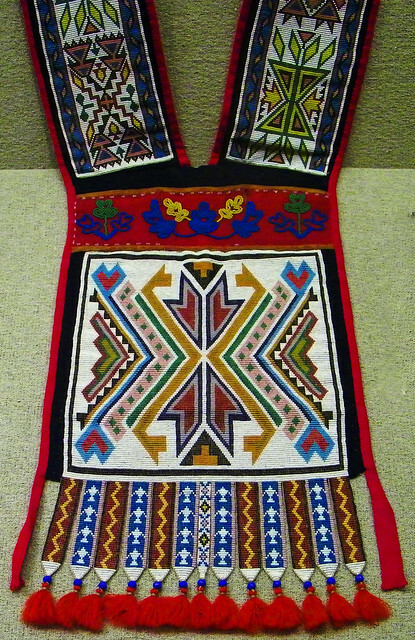 Here courtesy of flickr.com is a fine example of Native American-style beadwork.